India’s second largest airline, Jet Airways buying 75 new fuel-efficient Boeing 737 MAX aircrafts to expand its fleet. As a part of its ambitious growth plans coupled with focus on replacing aging fleet, Jet Airways opted for highly efficient 737 MAX from US-based aircraft manufacturer Boeing (NYSE: BA). At a list price, order size is estimated at $8 billion which is largest single order till date by Jet Airways (NSE: JETAIRWAYS). Deliveries of new aircrafts would begin by mid-2018. Aviation fuel in India is costlier compared many countries in the world. Currently, jet fuel costs 60% more in India than Singapore. As a result, focus on acquiring fuel efficient aircrafts to achieve better cost structure is increasing among Indian airline companies. Newer aircraft improves at least 15%-20% fuel efficiency for airline. While cost of aviation fuel is about 50% of revenue of airline company in India. Jet Airways is facing stiff competition from Low Cost Carriers (LCCs) such as Indigo, Spicejet, GoAir and many more. As a result, improving profitability through rationalization of cost structure is primary focus for the company. 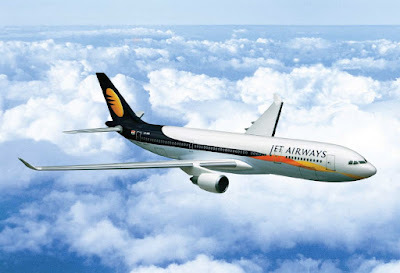 Moreover, efficient and modern fleet would help Jet Airways to take advantage of expanding domestic market coupled with serve international routes effectively.